Ganga Jayanthi, Ganga’s Birthday in the Sky and on Earth. 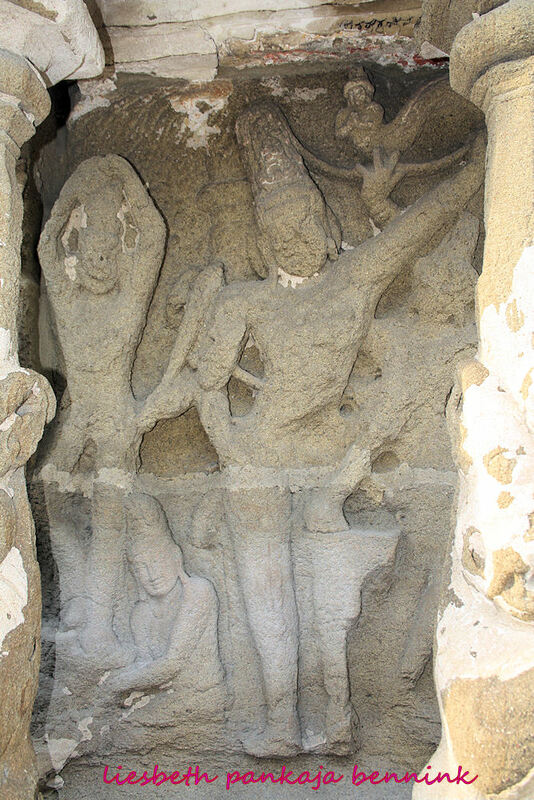 Gangavatarana panel in the Kailashanatha temple in Kanchipuram. King Bhagirathi performs his austerities in order to bring Ganga to Earth. In a previous blog post I talked about how Ganga is received by Shiva as Gangadhara in his tresses before falling on earth. This purana is beautifully illustrated on the Kailashanatha temple in Kanchipuram. The relief makes clear Ganga is also the Milky Way, the sacred river in the sky. The two dogs posted on either side of Ganga represent the two dogs in the sky, Canis Minor, the star Procreon. And Canis Major, the star Sirius. There is another astronomical aspect and symbolism to this ancient story. Where through myth the great Seers show us the interlinking of spiritual, heavenly and earthly events. When we celebrate Gangavatarana, Ganga’s descent on earth, with her festival of Ganga Jayanthi, her birthday, we reflect and remember the heavens as they were seen by the rishis over 6000 years ago. The rishis who saw and sang the Rig Veda lived at the banks of another sacred river. In the Rig Veda there is only one truly sacred river, running with great power and strength from the mountain to the sea. This was the Sarasvati. The Sarasvati was also a heavenly river, with the Milky Way as her alter ego in the night sky. In the Veda Ganga is mentioned only as part of a list of rivers and as the boundary of the land of the Kurus. The myth of the Descent of Ganga is not part of Vedic mythology. Today the Sarasvati is a dry river bed, where sometimes, when the rains are strong, parts still flow. From space this river bed can be seen as a green streak from the Himalaya to the Rann of Kutch, because underground the water still flows. So what happened? 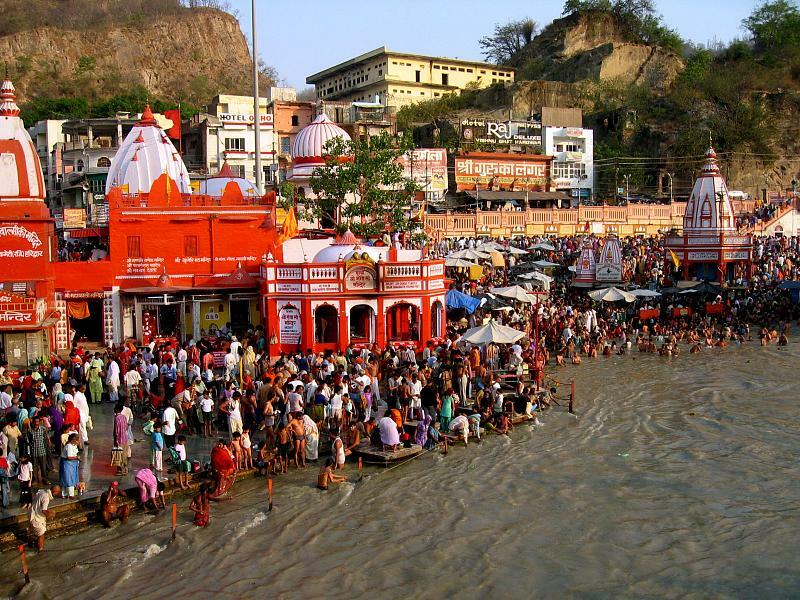 How and when did Ganga take the place of Saravati as India’s most sacred river? We are not entirely sure. There was climate change, monsoons patterns changed and there was much less rain. And there were tectonic movements. Earth rose in places, diverting the flow of water from the Himalaya. Science thinks that by 1900 BCE the Sarasvati had completely disappeared as a perennial river. But the process started much earlier. As early as 2600 BCE parts had already disappeared in what was to become a desert. Below you find a link to an article about what happened exactly. The tectonic (earth) movements pushed the waters to flow from the Himalaya through the Ganga instead of the Sarasvati. As a result the Indus-Sarasvati civilisation petered out, as people abandoned the cities and migrated to places where water was still available. This process took place before 1900 by which the river had disappeared. But the process started much earlier. 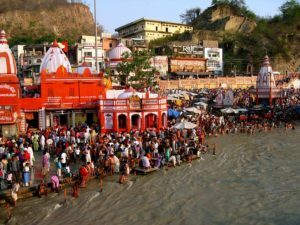 The Descent of Ganga is still commemorated every year in the sacred calendar. On the 10th day of the waxing moon in the month when the moon is full in the lunar mansion (nakshatra) Jyestha, and the sun is in Gemini/Mithuna, Ganga’s Descent, her birthday on Earth, is celebrated all over India as Ganga Jayanti. Today the Sun is in the constellation Gemini/Mithuna around June-July in the Gregorian/Christian calendar. In the Tamil Sidereal calendar this is Jyaistha or Ani Masam. But this was not always so. The Zodiac shifts in relation to the stars in a movement called Ayanamsa or Precession. Because of precession we can use astronomy to date astronomical observations found in ancient texts or monuments. The solstices (Uttarayana, Dakshinayana) and equinoxes (Vishuvat) have been sacred times always. Shiva receives the goddess Ganga in his hair, as she falls down to earth. Ganga and Shiva, Milky Way and Orion in Heaven. Some 6000 years ago, and a bit more, the Sun would have marked the Milky Way, the Heavenly Ganga, at the time of the spring equinox, or Vishuvat. Some centuries later the Sun was in the constellation Orion at the time of Spring Equinox. 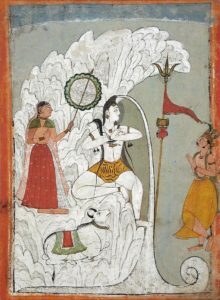 In the depiction of Gangadhara, Shiva has the position of Orion, catching the Goddess Ganga in his hair, leading her gently down to earth, where She is directed all the way from the Himalaya down through the North Indian plains by king Bhagiratha to join the ocean at Bhāgirathi. Where She descends into the netherworld to release the wandering souls of the king’s 60.000 ancestors. Ganga as a heavenly river, Akasha Ganga, is identified with the Milky Way. The period when the Spring Equinox coincided with the Milky Way is between 4000 and 2500 BCE. This astronomical period also coincides with the time in our planet’s history when the waters that used to fill the Sarasvati started to be diverted to Ganga because of the tectonic movements that raised some parts of North India. The celebration of the Descent of Ganga on the 10th day of the waxing moon with the sun in Gemini shows how the ancients marked this connection. The unbroken traditions of this festival and its celebrations records the heavenly and earthly events of the remote past. 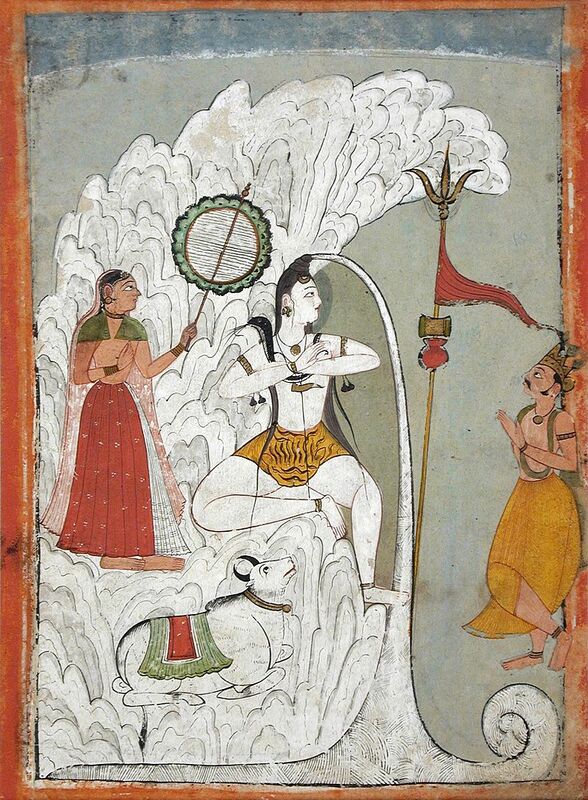 When the Milky Way marked the spring equinox, and Shiva/Orion received Goddess Ganga in his hair. Connecting us today with the spiritual vision of the ancient Seers of long ago.